Nexus Player and Chromecast? What's the Difference? What's the Difference Between Nexus Player and Chromecast? Google once offered two devices you could connect to your TV and use to play content: the Chromecast and the Nexus Player. Google stopped distributing the Nexus Player in May 2016 after a slow wind down in production, although some may still remain available for sale through third parties. The Nexus Player was replaced by Google Home in the fall of 2016. As for the Chromecast, Google upgraded this device to a 4K version in 2016. It's now called the Chromecast Ultra, but Google is still manufacturing and selling the original Chromecast as well. 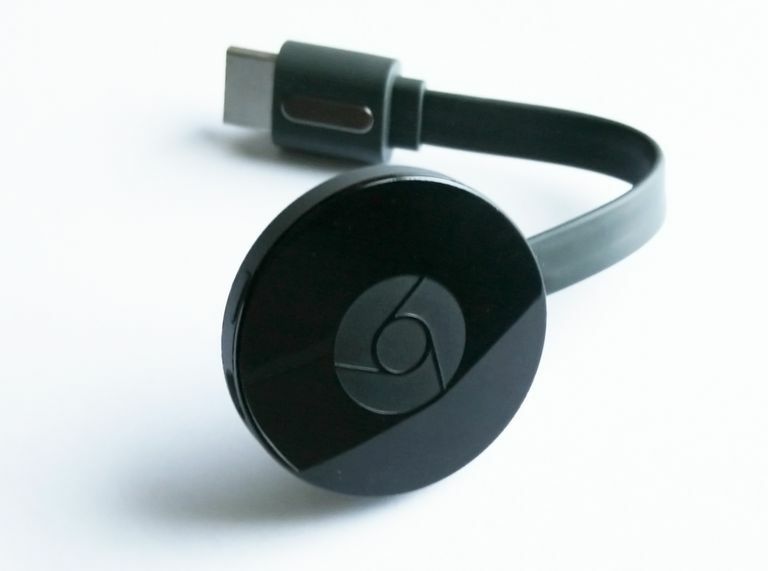 The Chromecast is a clever little TV streamer. It lets you use your phone, tablet or laptop as a remote to play content from Netflix, Google Play, YouTube or other apps that have been written to take advantage of the device. You can even get it to play a few streaming apps that haven't specifically authorized it by using PlayOn. It's one of the simplest, cheapest and most elegant solutions for streaming content to your TV, and it can be used by just about anyone with an available HDMI port and a home Wi-Fi network. The Chromecast is super small, contrary to what its pictures lead you to believe. It must be plugged into a power source. The Nexus Player was essentially an update and rebranding of an old idea -- the Google TV. It became the Android TV, and the Nexus Player was its first official device. Google TV was originally conceived of as an Android-playing, Internet-surfing computer with a full keyboard that you could connect to your TV to play streaming videos and search the Web. It was killed when the networks immediately began blocking streaming content to Google TV, and by just plain bad interface design. Who wants a remote that is literally the size of a full computer keyboard? Yes, Google TV's remote really was that big, but at least you never had to worry about losing it in the sofa cushions. Enter the Nexus Player. The Nexus player allowed you to "cast" shows from your phone, just like you would on a Chromecast. It also came with a sleek, simplified remote with voice control along with regular old finger-powered remote control. It was very similar to the Amazon Fire TV or a voice-controlled version of a Roku. On top of all the TV streaming, the Nexus Player also had an optional remote control that you could purchase from Google Play and use for Android TV video games. You could potentially hook up as many as four remotes at once. Even buying remotes was still cheaper than most game console systems for a casual gamer, but it wasn't a substitute for a console or desktop PC for the serious gamer. If you just want something to plug into your TV to play Netflix, YouTube and the occasional Google Play rental, get the Chromecast or Chromecast Ultra. If you're looking for a separate remote, the Nexus Player might be the ticket if you can still find one, or look into Google Home.